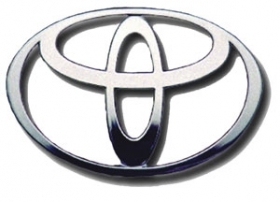 Toyota produced 4.9 million units through September, including all its joint ventures. Has Volkswagen AG -- benefiting from demand linked to European scrappage programs -- outproduced Toyota Motor Corp. through September? It depends on whom you ask. Some news reports this week said Volkswagen had passed Toyota in production in the first nine months. The manufacturers' third-quarter financial reports showed Volkswagen had built 4.4 million units through the first nine months to Toyota's 4.2 million. Volkswagen's total included production by joint ventures in which it does not hold a majority stake. Toyota's doesn't add such production numbers. Adding in affiliates would give Toyota 4.9 million units, the company said, putting the Japanese automaker comfortably at No. 1. Automotive News does not include minority-stake affiliates in production totals, but Volkswagen declined to break out such units from its nine-month figure for comparisons with Toyota's 4.2 million units. In any case, Toyota should be in first place at the end of the year, said Christoph Stuermer, an IHS Global Insight analyst. Stuermer created a chart this week that first pointed out the possible Volkswagen lead. Toyota got a slow start this year when it reacted to the global automotive downturn by cutting production almost in half in the first six months of this year, he said. Volkswagen prospered as European demand, bolstered by scrappage incentives, did not fall as far as it did in Asia and the United States. "Toyota's coming back big time," Stuermer said. "They have a lot of leeway in the Asian markets that they're still gaining, and they're gaining a lot of ground in the U.S."
European markets will take a hit next year as scrappage programs fade away, he said. That will further disadvantage Volkswagen. Toyota is unconcerned with the No. 1 ranking, which the automaker first took from General Motors in 2006, spokeswoman Mira Sleilati said. "Toyota's goal is to focus on the customer, so we're not focused on being No. 1," she said. Volkswagen's advancement has been rapid. For 2008, it ranked No. 3 globally behind Toyota and GM in both sales and production, according to the Automotive News Data Center. Stuermer said he estimated GM's production at 3.6 million units through September, down from 5.9 million in 2008. That puts the automaker in third place. Stuermer estimated that grouping Ford Motor Co. and Mazda Motor Corp. totaled 3.7 million units of production through September, which would put the companies ahead of GM. But Automotive News separates their production totals. In November 2008, Ford cut its stake in Mazda to 13 percent from 33 percent.